The Sourwood Inn is a stunning bed & breakfast located just minutes from the Blue Ridge Parkway. 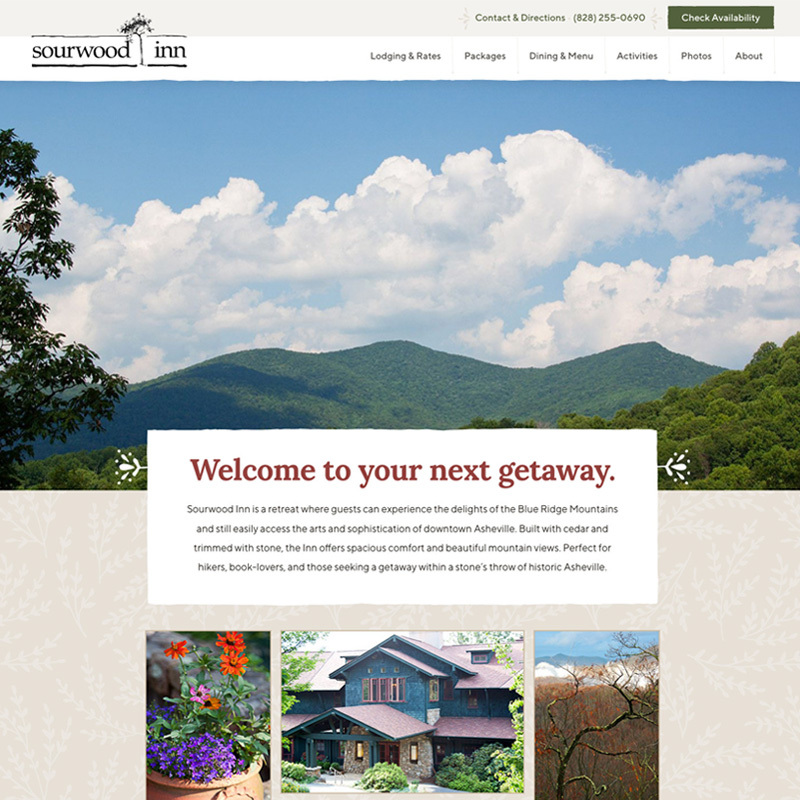 The Inn needed a custom site to best tell their story and show off their beautiful rooms and mountain setting. Particularly important in the redesign was emphasizing easy usability for would-be travelers. I improved this by simplifying and restructuring the navigation menu and adding calls to action throughout each page. Improving search engine optimization and converting the site to use a secure url (SSL) were also top priorites. I truly admire the wonderful details and whimsical accents of the Inn’s design and art, and made use of some fun illustrative elements throughout the site. My custom sites tend to be a real labor of love and this is no exception. The next time you want a quiet getaway, look no further than the Sourwood Inn!